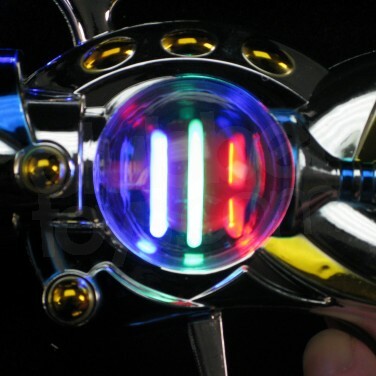 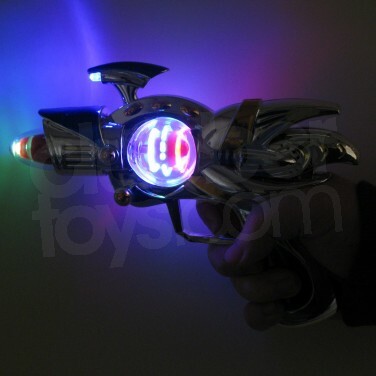 With colourful LEDs and a funky disco ball effect, the Flashing Space Gun is perfect for fancy dress and futuristic, space themed parties. 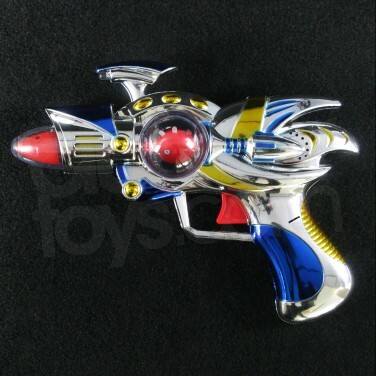 The sleek silver body of the gun is highlighted with shiny blue and yellow panels and the centre of the gun houses a spinning disco ball. 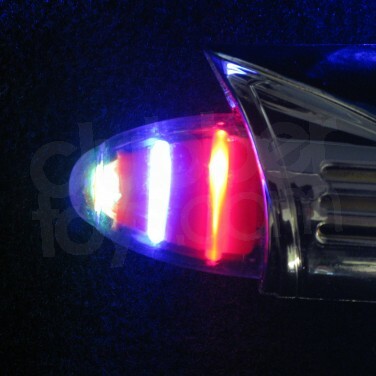 The tip of the gun lights up in a decreasing circle effect to complete this fun stun gun!